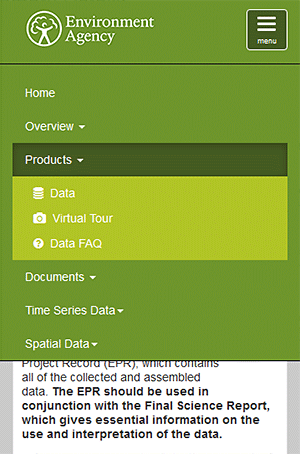 This page provides details on accessing and using the Electronic Project Record (EPR), which contains all of the collected and assembled data. The EPR should be used in conjunction with the Final Science Report, which gives essential information on the use and interpretation of the data. We hope this website is intuitive to use - but if not, the guide below should be helpful. 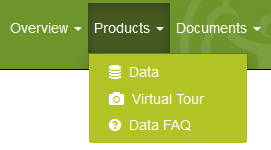 For convenience, a 'breadcrumb' trail is shown - this shows you where you are in the database heirarchy. Navigation through the EPR is via the menubar located at the top of the page. On a smaller screen such as a mobile device, the standard menu will be hidden, but accessible via a 'menu' button. Clicking an item on the main menu will open a sub-menu. The main menubar is divided into sub-menus, each containing related links relevant to that group. Click on any main link to access it's sub menu. The example above shows the 'Products' menu. is the most important. 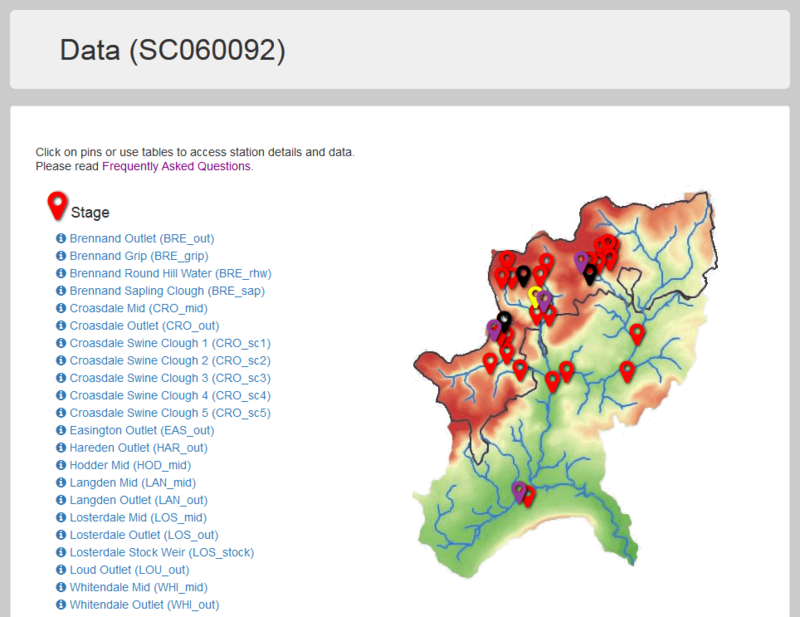 It has all the maps, photographs, and measurements created/collected by Newcastle University. The pins shown on the map in the SC060092 Products | Data page are active, and when a pin is clicked a new page is called up. Active icons also appear on some pages (Table 1). The SC060092 Products | Data page shows all the instruments. 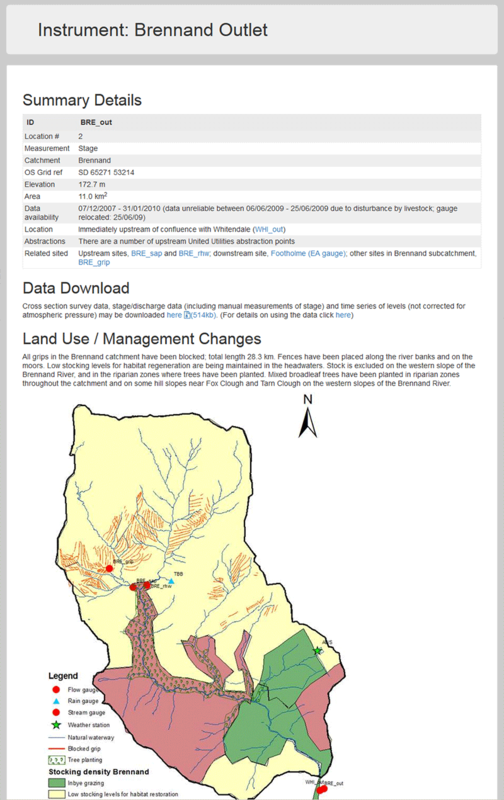 Clicking on a pin or an "information" icon brings up an instrument page, such as the SC060092 Products | Data | BRE_out page shown in Figure 7. The instrument pages have a range of useful information, including locations, photographs, channel cross sections and time series measurements.